SENSEN premium bare struts are precision-engineered for the ultimate in safety and performance, SENSEN Shocks & Struts provide improved comfort and control, long life and durability, and maximum shock performance for today's passenger vehicles. 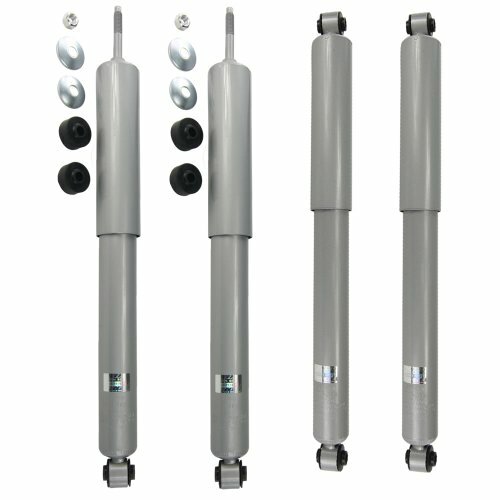 SENSEN Shocks & Struts are manufactured and tested to the strictest OE standards for unparalleled performance. Built for trouble-free ownership and 100% visually inspected and quality tested. The SENSEN bare strut is a nitrogen gas-charged, twin-tube design that is specifically calibrated to help restore your vehicles original ride, handling and control performance. This listing includes a SENSEN Shocks and Struts bare strut only and does NOT include the top mount, bearing plate, bumper, boot cover, insulators or coil spring. SENSEN shocks & struts are quickly becoming a preferred suspension brand of professional automotive technicians nationwide. Precision designed for a direct fit and restore factory ride height. All components manufactured to meet or exceed OE specifications for fit and function. SENSEN limited lifetime warranty, Purchase with confidence. View More In Complete Assemblies. If you have any questions about this product by Sensen Shocks & Struts, contact us by completing and submitting the form below. If you are looking for a specif part number, please include it with your message.